1. Daniel Arthur James: born July 26, 1892 in Franklin County, Alabama; married Nellie Hall (1897-1995); died November 4, 1970 in Tupelo, Lee County, Mississippi; buried at Lee Memorial Park, Verona, Lee County, Mississippi. 2. Lula Modena James: born December 16, 1893 in Franklin County, Alabama; married Bonnie Peterson (1889-1951); died April 15, 1932; buried at Euclatubba Baptist Church Cemetery, Saltillo, Lee County, Mississippi. 3. Joe Clark James: born August 6, 1896 in Franklin County, Alabama; married Elizabeth Geneva Crowder (1902-1996); died August 31, 1985; buried at Belmont Memorial Gardens, Belmont, Tishomingo County, Mississippi; known children include: Joe M. James. 4. Robert “Rob” A. James: born November 7, 1898 in Alabama; married Estain Clyde Davis (1897-1991); died October 8, 1948; buried at Ridge Cemetery, Itawamba County, Mississippi; known children include: Jesse James and Frank James. 5. John Earl James: born July 5, 1902; married Kate Burks (1905-1990); died September 14, 1967; buried at Belmont Memorial Gardens, Belmont, Tishomingo County, Mississippi; known children include: Helen Jo James and Sidney Earl James. 6. Lela Burton James: born May 8, 1904; married Lee Hoyle Easterling (1904-1973); died February 1989; buried at Drew Cemetery, Drew, Sunflower County, Mississippi; known children include: James H. Easterling, Charles R. Easterling and Lawrence Alfred Easterling. 7. Claudius E. James: born July 14, 1906; married Rozzie Ginn (1914-1997); died June 18, 1995; buried at Hillcrest Memorial Gardens, Red Bay, Franklin County, Alabama; known children include: Reman Eugene James, Virginia Lou James, Bobby Wayne James, Eddie Ray James and Paul Howard James. 8. Edna Lucille “Peg” James: born March 28, 1908; married Wilmer Leeroy Thrasher (1930-1982); died March 26, 1968; buried at Belmont Memorial Gardens, Belmont, Tishomingo County, Mississippi; known children include: Aldean Thrasher. 9. Bonnie Mae James: born April 9, 1911 in Saltillo, Lee County, Mississippi; married June 27, 1931 to Elias R. Warren (1898-1989); died April 25, 2009 in Golden, Tishomingo County, Mississippi; buried at Hillcrest Memorial Gardens, Red Bay, Franklin County, Alabama; known children include: Katheryn Janet Warren. 10. Alice Beatrice “Bea” James: born August 12, 1913; married Verlon C. Ginn (1905-1936); died May 9, 1989; buried at Belmont Memorial Gardens, Belmont, Tishomingo County, Mississippi; known children include: Carlos Edward Ginn and Joe Freddy Ginn. Alfred “Ab” Clark James (1836-1917) was the son of Elias Walter James (1836-1917) and Cynthia McGary Richardson (1847-1915) of Franklin County, Alabama. Information on the children of Alfred “Ab” Clark James (1836-1917) contributed from the family records of Scott K. Williams. 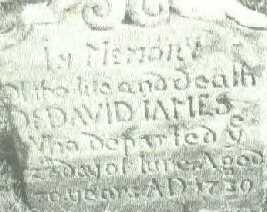 Find A Grave Memorial for Daniel Arthur James (1892-1970), Memorial ID No. 44376996, created by Preston Malone, added November 15, 2009. Find A Grave Memorial for Lula Modena James (1893-1932), Memorial ID No. 44429375, created by Preston Malone, added November 16, 2009. Find A Grave Memorial for Joe Clark James (1896-1985), Memorial ID No. 26041293, created by Preston Malone, added April 15, 2008. Find A Grave Memorial for Robert A. James (1898-1948), Memorial ID No. 44429522, created by Preston Malone, added November 16, 2009. Find A Grave Memorial for John Earl James (1902-1967), Memorial ID No. 26041423, created by Preston Malone, added April 15, 2008. Find A Grave Memorial for Lela Burton James (1904-1989), Memorial ID No. 44426331, created by Preston Malone, added November 16, 2009. Find A Grave Memorial for Claudius E. James (1906-1995), Memorial ID No. 44041369, created by Preston Malone, added November 7, 2009. Find A Grave Memorial for Edna Lucille James (1908-1968), Memorial ID No. 26060305, created by Preston Malone, added April 16, 2008. 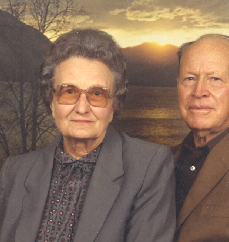 Find A Grave Memorial for Bonnie Mae James Warren (1911-2009), Memorial ID No. 36384419, created by Preston Malone, added April 26, 2009. Find A Grave Memorial for Alice Beatrice James (1913-1989), Memorial ID No. 34692350, created by Preston Malone, added March 11, 2009. 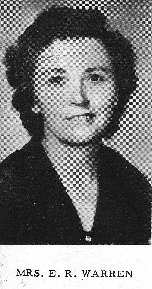 Below - Bonnie Mae James (1911-2009).